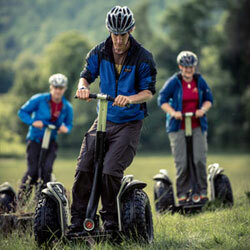 Segways are two-wheeled self-balancing people transporters. 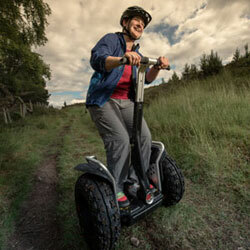 They use space-age gyroscopes combined with all-terrain tyres to ensure that you stay upright while exploring some awesome Loch Tay scenery and having amazing fun. 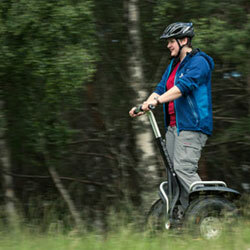 Segways produce zero emissions, hardly any noise and it is impossible to describe the rush of riding one. 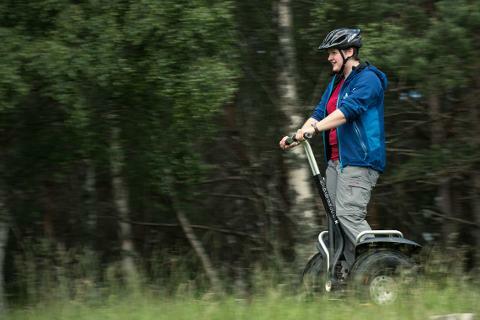 Our 45-minute Segway Experience start with a coaching session on flat grassy land before giving you the chance to try out your new Segway skills over a variety different terrains, a thrilling introduction to these machines which will have you craving more! 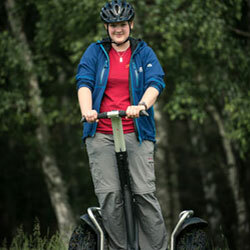 Minimum height: 140cm (average height of a 10-11 year old child). Min weight: is 7 stone/45kgs. 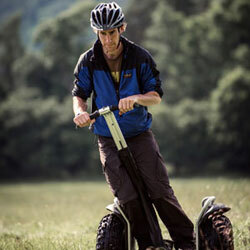 Max weight is 18.5 stone/118kgs. 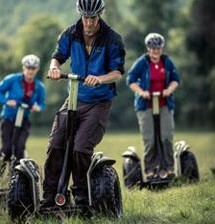 Under 16s must be accompanied by a participating adult aged 18+.